The US government doesn't like Iran. I get that. It claims, on pretty dubious grounds, that Iran might be planning, at some point down the road, to take some of the uranium it is processing into nuclear fuel to a higher level of purity and make it into an atomic bomb. Because of that possibility, which Iran denies, and for which there is no hard evidence, the US has been tightening an embargo against Iran, blocking countries from buying Iranian oil, blocking banks from doing business with Iran, blocking Iranian banks from doing business with the US, and blocking certain products from being exported to Iran. Many of these actions are, in and of themselves, hostile acts that could, under international law, be considered acts of war given that there is no UN authorization. In fact, some of them are exactly the type of thing that drove militarists in Japan, fearful of their country being cut off from access to iron ore and to oil, neither of which are available in Japan, to go to war against the US back in 1945. But for all that, the US is not at war with Iran. Got that? There is no state of war between Iran and the USA. You can travel there as a tourist if you like--actually more easily than you can go to Cuba. Iranians can visit the US too, though they probably will get a pretty serious going over by the ICE crew at their port of entry. Now, however, the US has taken a really stupid step. It has blocked the carrying of Iranian's state-owned English-language PressTV television broadcast on the Galaxy 19 satellite that was allowing the 24-hour newscast to be viewed, at least by some people, in the US. 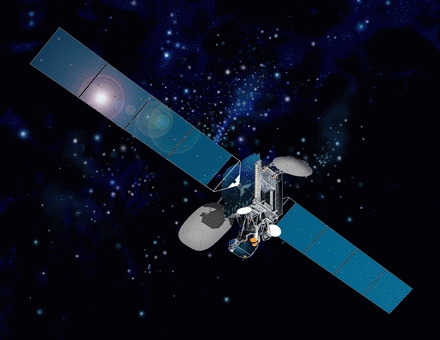 Galaxy 19 is operated by Intelsat, which is domiciled in Luxembourg for tax purposes but is actually a US-run firm, founded here in 1964, and run currently by a crew of US executives who hail from such firms as Dish TV, Sprint, GTE and the powerful NY and Washington law firm of Paul, Weiss Rifkind Wharton & Garrison.